With its high oak beams and large balcony, Bonhams Barn is a great space to decorate with lights. We installed this crossed-strand canopy of festoon lights in the ceiling along with fairy lights swaged across the balcony, down the stairs and wound around the wooden pillars below. 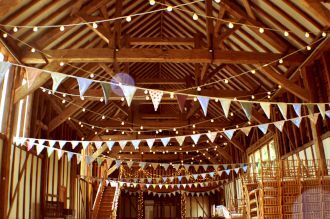 We also installed the bride's amazing hand made bunting to complete the look for this gorgeous village fete themed wedding. 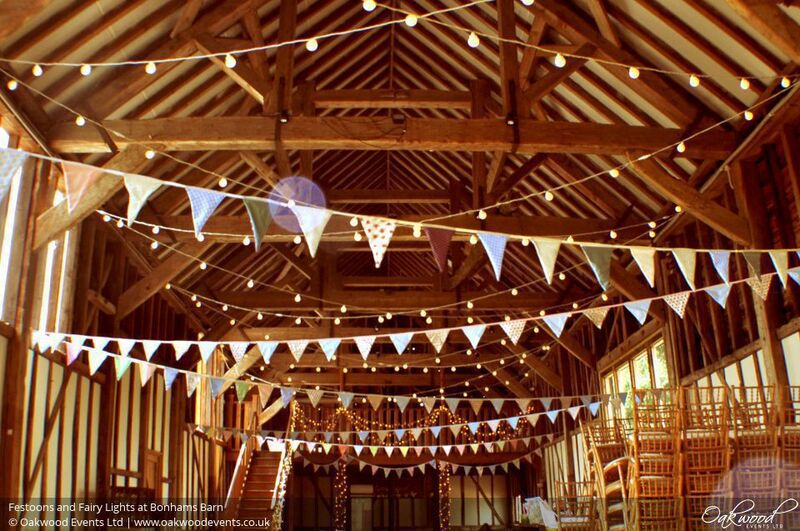 Contact us here to discuss lighting options for your wedding event at Bonhams Barn.